Rauchmelder ASD 10 retter im Fall eines Brands Leben! For detection of fumes and smoke gas in living spaces. Audible alarm when a defined smoke concentration is exceeded. 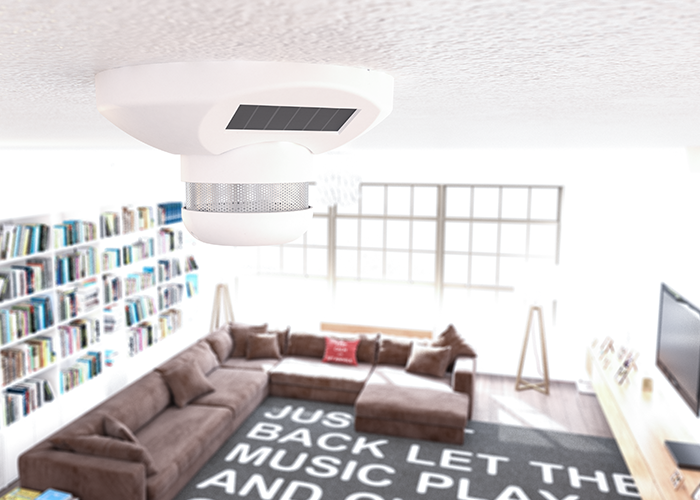 The photoelectric smoke alarm ASD 10 consists of a sensor head and a mounting base with integrated EnOcean® wireless module. 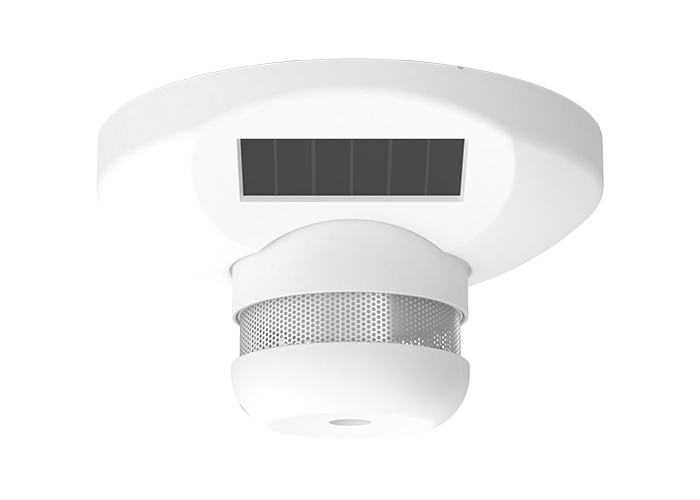 The sensor head features a permanently installed lithium battery with a service life of up to 10 years for reliable, long-term fire protection. A fire alarm is indicated by an alarm tone with approx. 85 dB and a flashing LED. The alarms are transmitted via the EnOcean® wireless module. A photovoltaic cell generates the required energy. A battery can be inserted in the base for use in darker environments. The AFRISOhome gateway lets you program a great variety of scenarios for an alarm, for example switching on the lights for the escape way, opening of shutters for escaping, push messages, etc. The EnOcean® wireless module is not only used for transmission, but also for regular function checks.